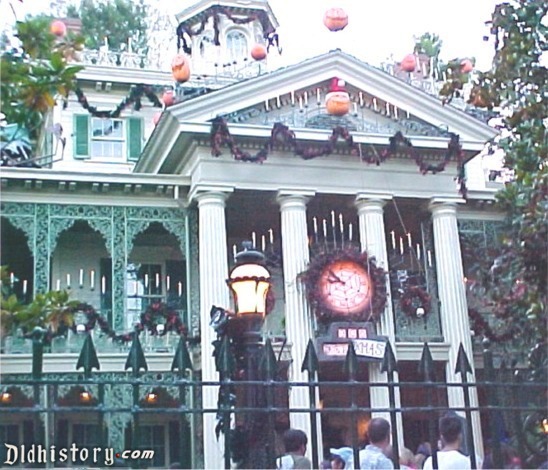 Anyone who visits Disneyland during the holidays knows that the theme park didn't invent Christmas cheer. It perfected it. It wasn't always this way. In December 1955, workers put up a modest tree and a few wreaths for the park's first Christmas, acknowledging the holiday rather than celebrating it. This is a push, all right, right off a cliff of ambivalence into a steaming pool of cheer and goodwill. You'll see smiles from one end of the park to the other, even among those bringing up the rear of a 90-minute line to Haunted Mansion Holiday. The feeling is as unnatural as it is welcome, especially when your teens don't insist on splitting up when you announce that It's a Small World is your next stop. The holiday dedicated to awkward familial visits with a side of excessive food preparation has been all but erased by Disney's laser focus on Christmas. The closest you'll get to the Thanksgiving spirit at Disneyland will be spotting families dressed in identical T-shirts to emphasize good form over dysfunction. If the true meaning of your Christmas is a flawless experience that quashes any realistic representation of the season's ups and downs, you're in for a treat. Every sight and sound during a very Disney Christmas is a joy. Icicles dangle amid the snow-capped turrets of Sleeping Beauty Castle, and a gentle "snow" falls after a nightly pyrotechnic display. Reindeer and toy soldiers dance with myriad Disney characters in the Christmas Fantasy Parade, which features St. Nick himself. Truth is, if you're spending hundreds, even thousands of dollars on a family trip to Disneyland, "finding the true meaning of Christmas" is low on your list. You can get that from a Charlie Brown special. Let's start with the churros, which is a lead-in as much as it is a wise lifestyle choice. Holiday churros are sprinkled around both parks and include gingerbread (near Sleeping Beauty Castle), sour apple with a side of caramel sauce (Buzz Lightyear Astro Blasters) and pumpkin spice (Cozy Cone Motel). Others feature crushed peppermint ice cream and crushed candy canes. The Jolly Holiday Bakery Cafe offers a Santa Hat Macaron, a brownie with white chocolate mousse and a gingerbread cookie, and eggnog latte cheesecake. The favorite may well be the roast beef TV dinner at Carnation Cafe with mashed potatoes and bread pudding. That's a wonderful thought, as long as you're prepared for a potential post-visit comedown, especially if you visit early. If Disney is your holiday start, what comes next may fall short. Will you find purpose in untangling your light strings, let alone spend an afternoon stapling them to your eaves? Instead of rising early for Black Friday shopping, you may want to tell friends and family, "If it's not on your Amazon wish list, don't expect it from me." Most people save Disney as a holiday grand finale, and Christmas Day is one of the parks' most crowded days of the year. But as long as you keep things in perspective - maybe even put up decorations before you leave - the most wonderful time of the year will remain so when you return home.